Hello gals! 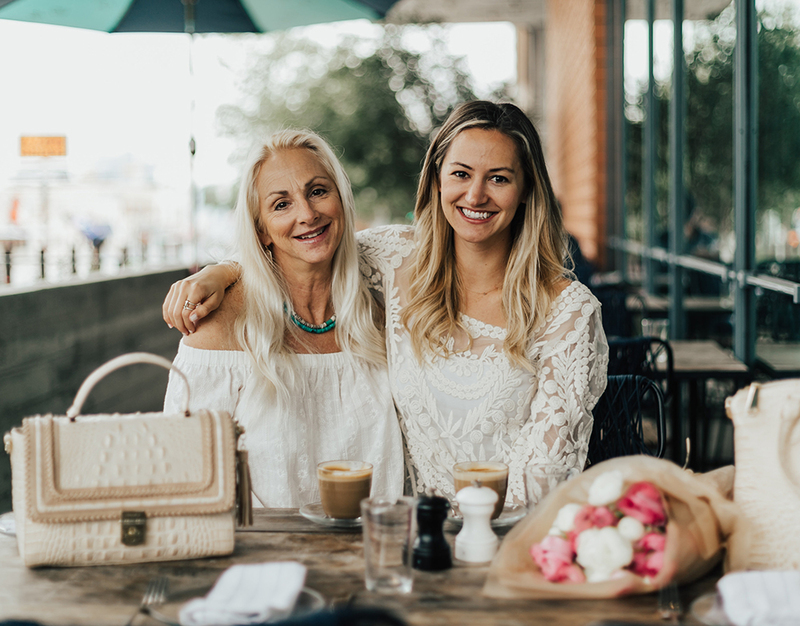 Ohh I am SO excited to finally share a fun post I’ve been working on with the wonderful Brahmin team – my Mother’s Day gift guide! 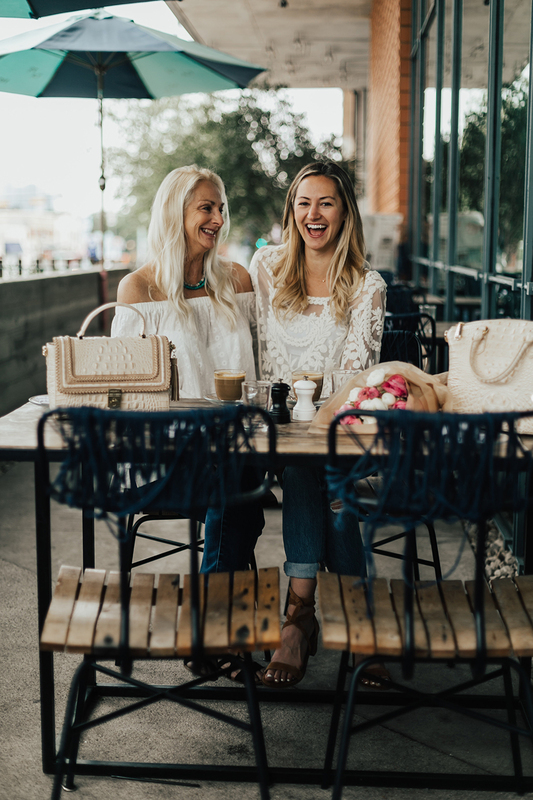 I was a huge fan of Brahmin handbags long before I stepped foot into the blogging world, so it’s been a dream come true to work closely with their team and pick out a few gorgeous pieces that would make incredible gifts for all the fabulous mamas out there! Brahmin is one of those rare brands that, as they grow, continue to put quality first. I had the pleasure of touring their handbag factory in the fall and oh my goodness do they put an unbelievable amount of TLC into their products. It’s a family owned brand where everyone genuinely cares about their customers and employees – and continue to produce stunning products that withstand time in both quality and design. (Disclaimer: my fan-girling in this post is 110% genuine – I am obsessed, ha!). I don’t know about y’all, but I truly believe my mom is superwoman. As I get older, I feel like I realize more and more each day just how much my mom has taught and done for me over the years. Honesty….stuff as simple as showing me how to curl my hair, or making my dentist appointments, ha! I can’t even keep my own schedule straight, so it’s nuts to know that my mom made appointments (…and drove us to/from, while ya know, also keeping us fed/clothed/happy/alive/growing, etc.) for FIVE kids (…in addition to a career of her own!). Now that we’re all grown up, she is superwoman to eight grandkids who adore their Sweetie (that’s her grandma name) like crazy. Needless to say, I am the luckiest daughter in the world to have been raised by someone so beautiful inside and out (…hello, gorgeous!). 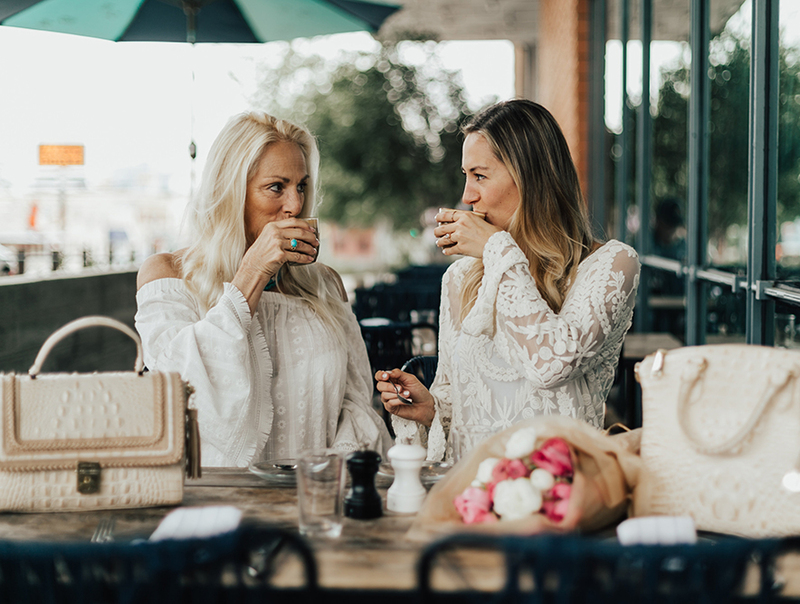 She’s my friend, my confidant, my travel buddy, my soundboard, my beauty guru, my go-to for words of wisdom…she’s so incredibly special to me – there’s simply no one like her. She is loved and treasured beyond words! So…what does one get for someone so dear to their heart on Mother’s Day? Something as exceptional as she is, that’s for certain. This is where Brahmin helps a sista out in the gift-giving department! 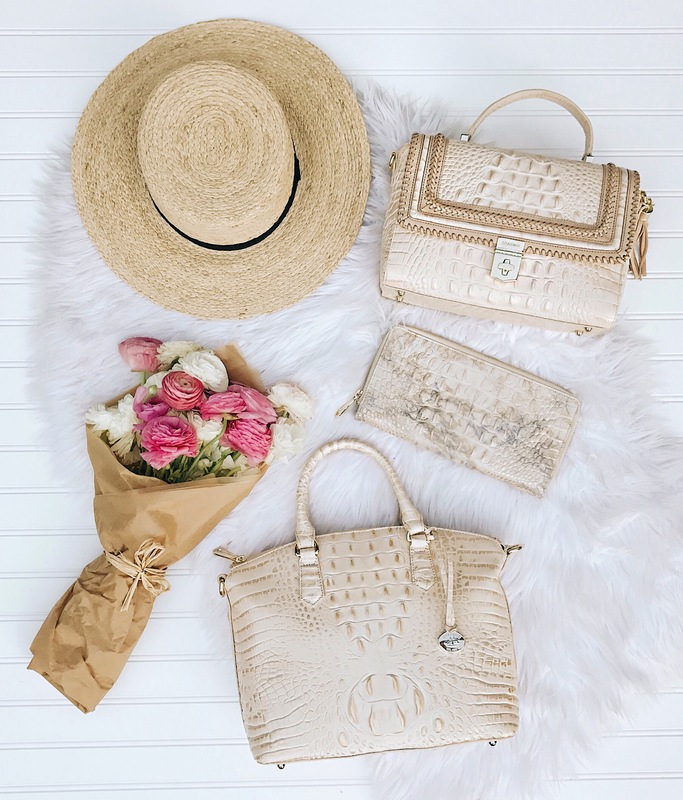 😉 A gorgeous croc-embossed leather handbag in the prettiest spring hues, matching wallet (…that marbled print? Swoon!) and perhaps a couple of Brahmin accessories to top it all off. (Take a look at their monogram tassel key chains – they’re the cutest!). 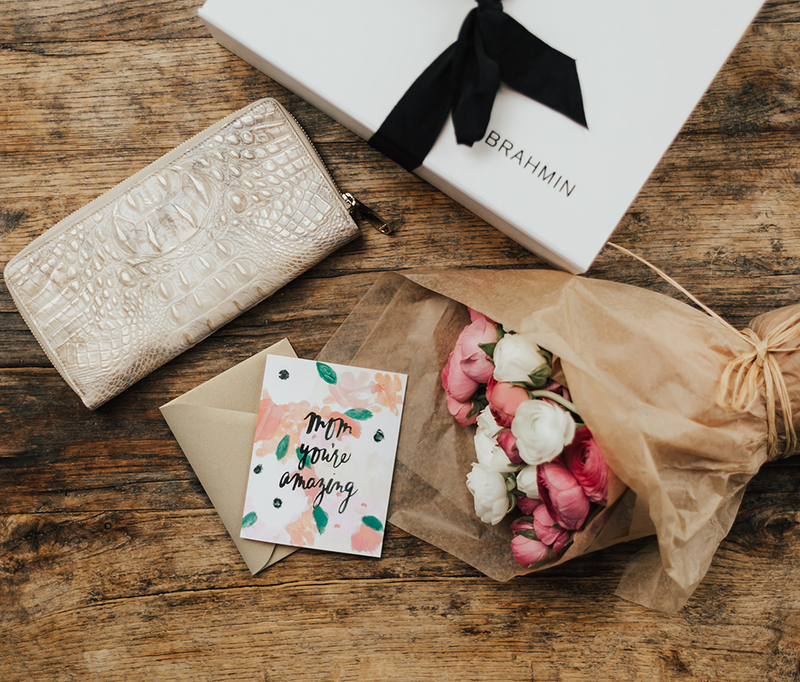 I had some fun scoping out the Brahmin website for a few perfect gift ideas suitable for all the wonderful moms out there! 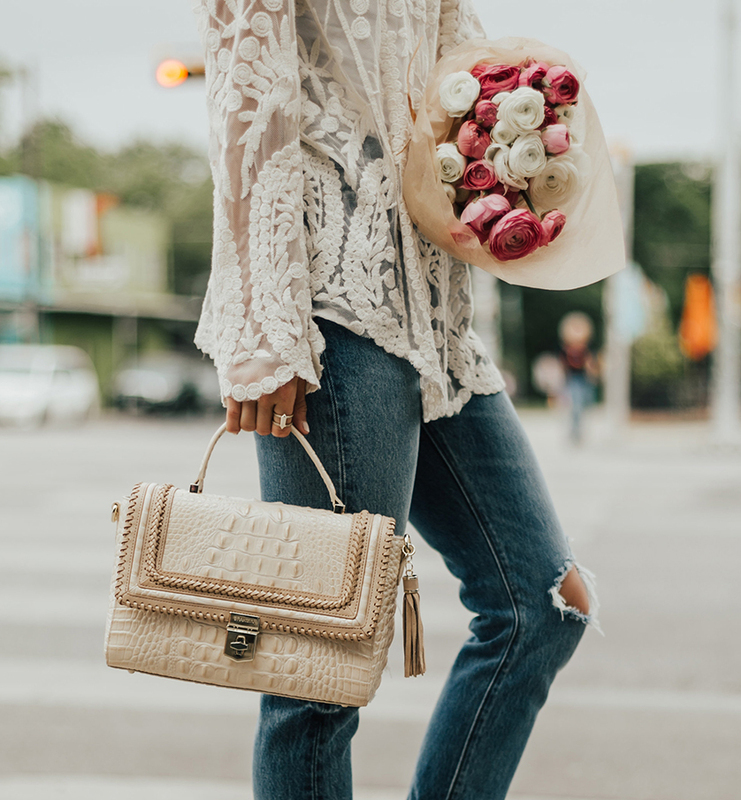 From fashion-forward, to classic and structured…all the way to a handbag that will hold half her closet (…which my mom definitely tends to have in her purse, ha! ), I’ve got you covered when it comes to gift ideas. Ps. If you’re looking for beautiful packaging, Brahmin does it right! 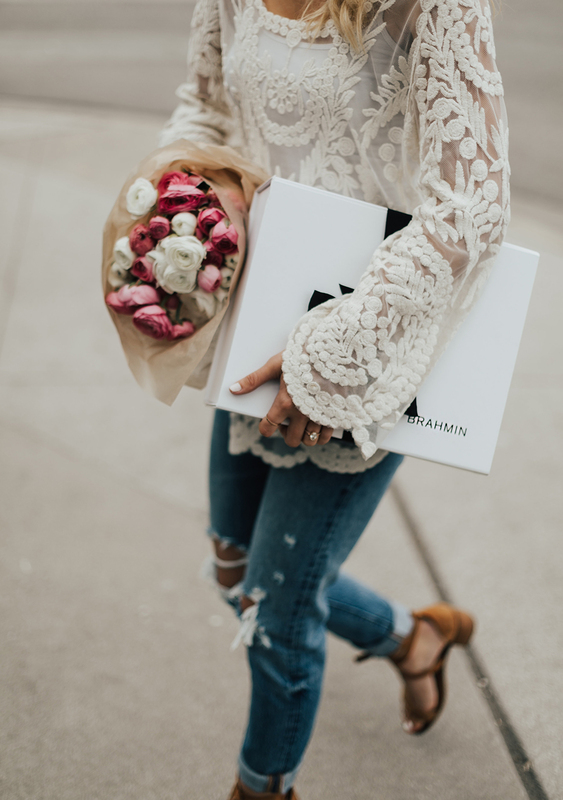 Each piece comes wrapped in a chic box, it’ll definitely bring that “wow” factor as she opens her gift…and I’m all about that! Which bag is your favorite? 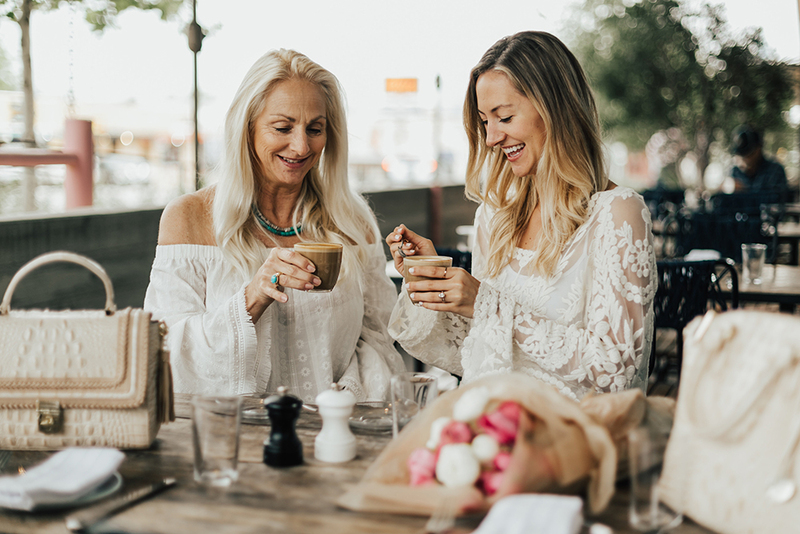 Take a look at more gorgeous Mother’s Day gift options here! Hello, I’m Indonesian. And I love your style, Iam sorry I just want to ask, what kind of camera do you use? Hey girly! Thank you so much for stopping by! My photographer shot these photos and he uses a Canon DSLR 6D. 🙂 XOXO! Love your style! 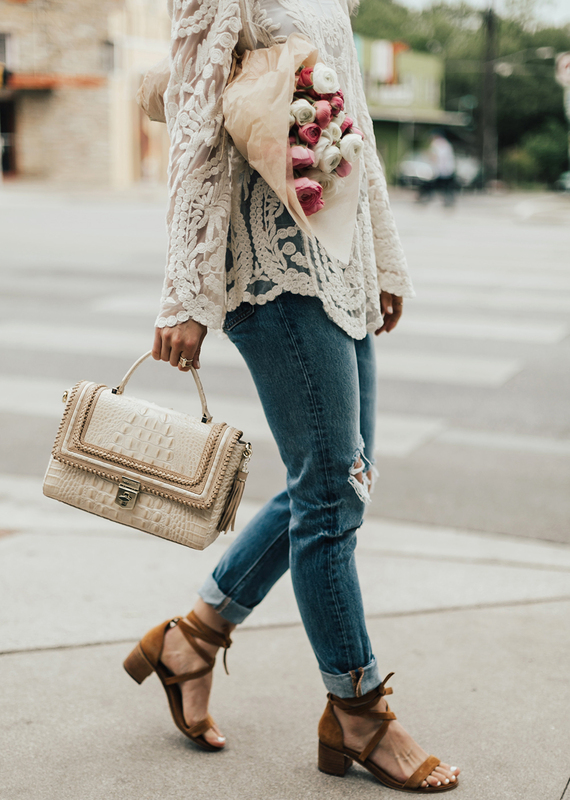 Can you tell me where you got the beautiful lacey top? It would be so perfect for an upcoming wedding!